Travis Cottrell's "Jesus Saves (Live)"! The current time is 11:26pm on Monday night, the first of June. 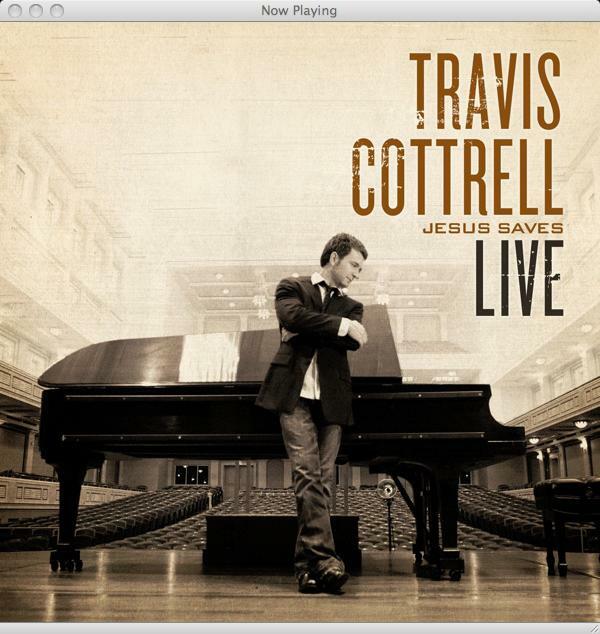 Tomorrow Travis Cottrell releases his latest album entitled "Jesus Saves (Live)", his second CD in the past year. No normal human can crank out two entire albums in less than 12 months. The man is a beast. I really don't have much more to say about the CD, as it is still downloading. DOWNLOADING?! I thought it was only 11:30pm?? It shouldn't be released for another 30mins!? Well my friends, iTunes published the album early, trying to get to bed a few minutes earlier I guess. They thought nobody would notice the difference, but they don't know who they're messing with. I hit that page like a turtle on lettuce and am on my way to having it downloaded before midnight. booya, iTunes. booya. I can't WAIT to hear it! I'm sure while the rest of the world lines up at their local christian bookstores at opening time tomorrow I will be peacefully enjoying my copy from the comfort and embarrassing site of my bedroom. Thank you for reading, but get out and go get in line for this CD! It'll be out in a matter of hours!